Seldom will you come across someone who doesn’t enjoy travelling. You get to see new places, new new people and imbibe new cultures. After all, you’re a part of all that you’ve done and seen. Plus, you get to take a break from the hustle and bustle of daily lives, and enjoy a few days of unadulterated bliss. 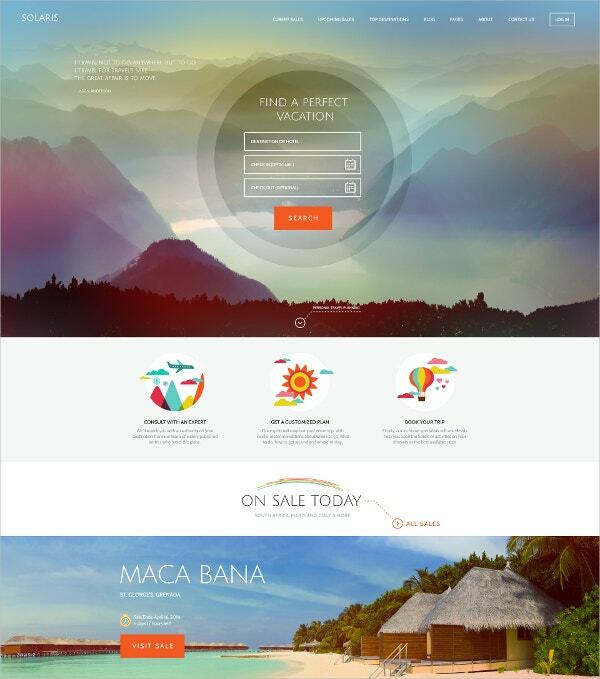 You May also See Travel Website Templates. You get to take a step back from your monotonous and mundane lives, who doesn’t yearn for that? But we all know, planning a vacation is something which requires long hours and lots of patience. In simple words, it is a tiresome and tedious job. But then again, you cannot start out on your journey without planning beforehand either. You May also See Travel PHP Templates. 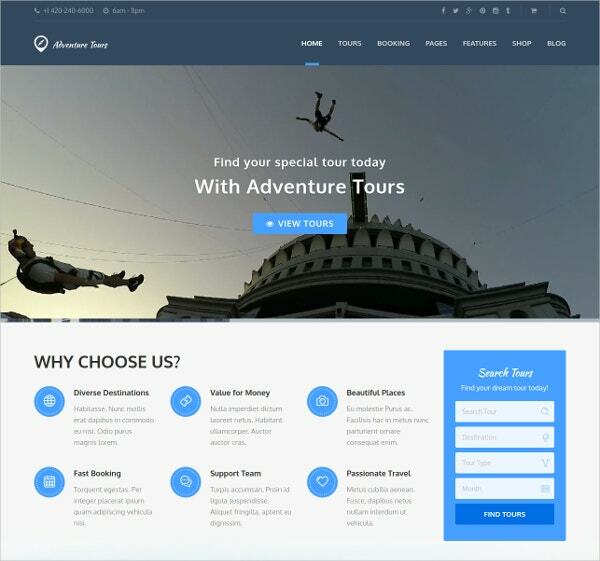 Adventure Tours is a functional and advanced WordPress theme developed for travel agencies ad tour operators to make their online presence and showcase their services to a wide range of audience. 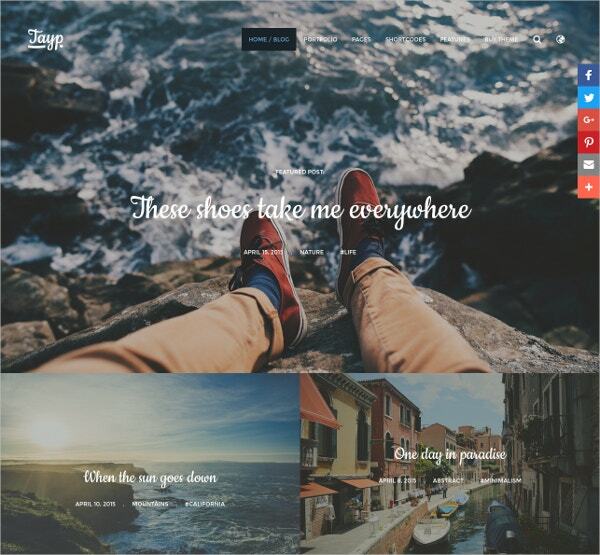 This theme along with a unique design carried wonderful features like: You May also See Travel Bootstrap Templates. 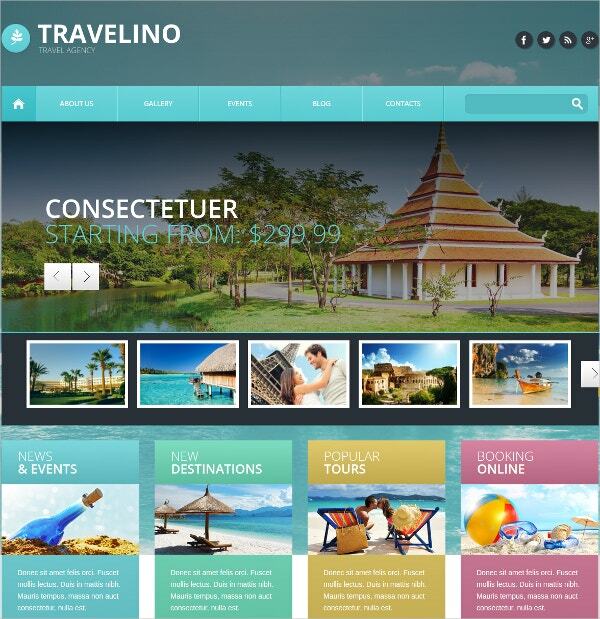 Try this wonderful theme for your travel website or blog and impress your audience amazingly. 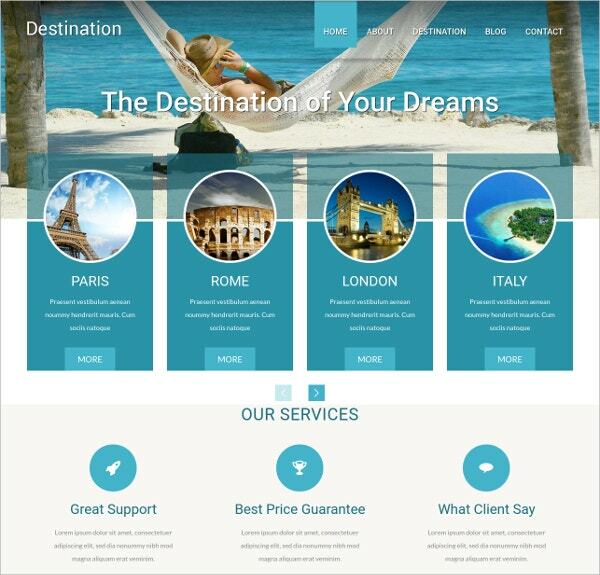 The Dream Travel Club WordPress Theme is best suited for tours and travel websites. The theme is well documented which helps the user to install it easily. 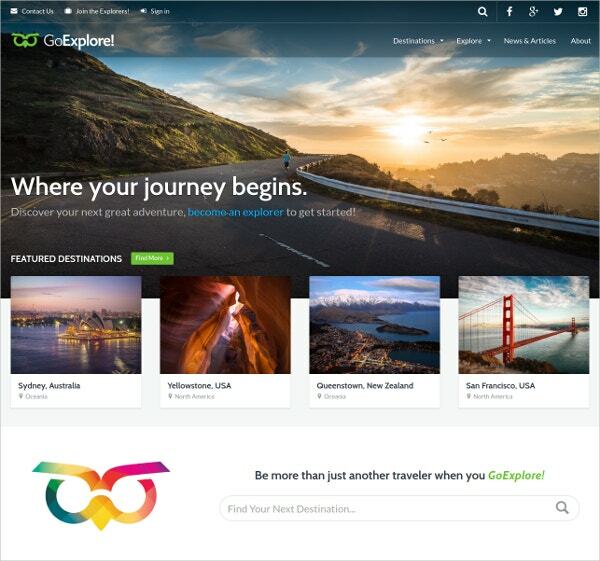 The Travel WordPress Theme- GoExplore theme is ideal for providing travel related information. The theme is 100% responsive and can be used in any device of any size. 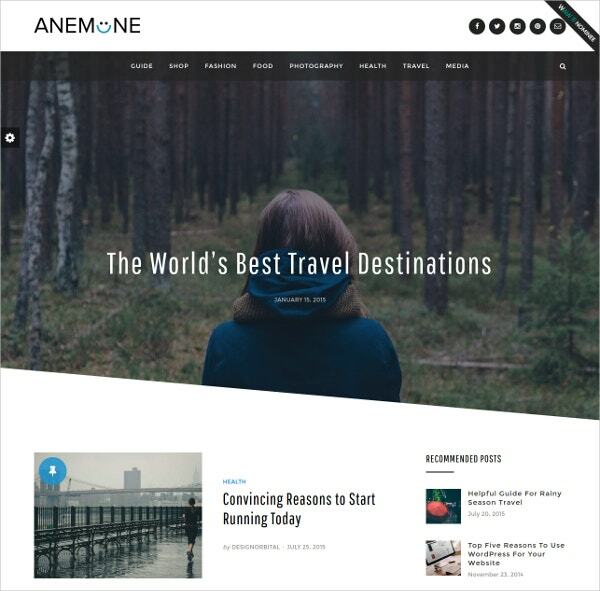 The Anemone Magazine WordPress Theme is ideal for travel magazines and blogs. The theme allows the user to post contents, audio, video, link, image etc. The Paris theme is suited best for travels, hotels, villas, food and agriturismi. 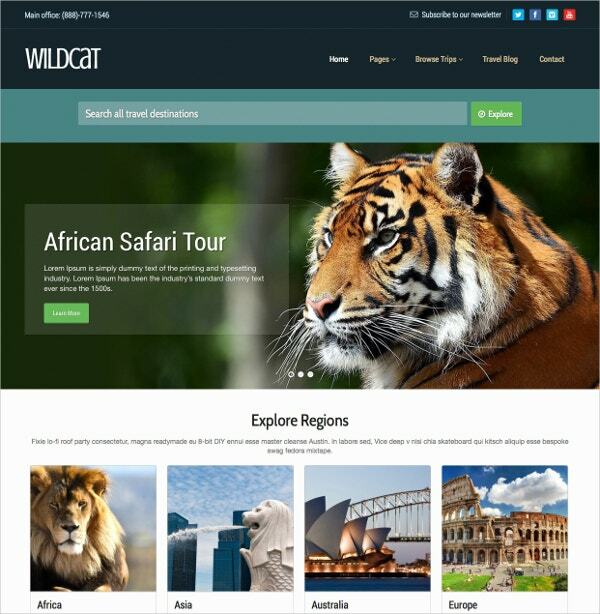 he WorldTravel theme is ideal for travel and tourism blogs and websites to spread significant information. The theme is coded with Bootstrap framework which helps the website to be developed better. The Travel Guide WordPress Theme is well constructed for travel booklets, magazines, blogs and websites. The theme is built in with Bootstrap framework which makes the website easy to develop. 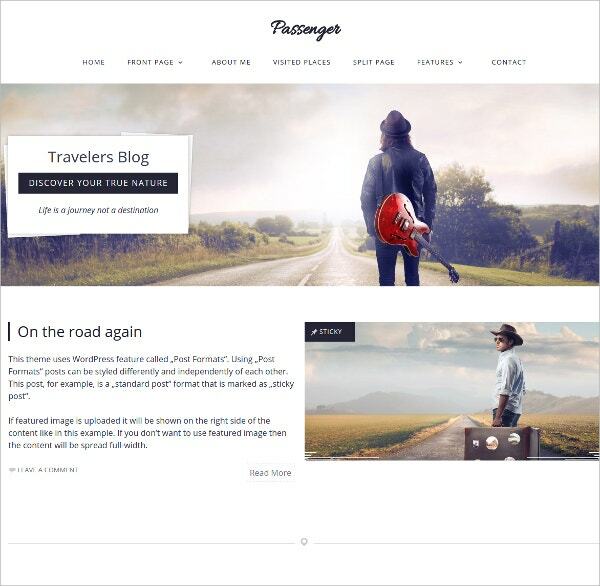 The Passenger- Travelers WordPress Theme with WooCommerce support is ideal for showcasing travel information. The theme has soliloquy slider which can be used in posts, widgets and pages with various choices. The Tayp WP- WordPress Blogging Theme is a clean and sleek blogging theme for travellers. The theme has a visual drag and drop page builder for better navigation within the website. The Silvio WordPress Travel Blog Theme is fully responsive theme designed for the travel blogs and portfolios. The theme is retina optimised and the website appears crisp and clean on any device. 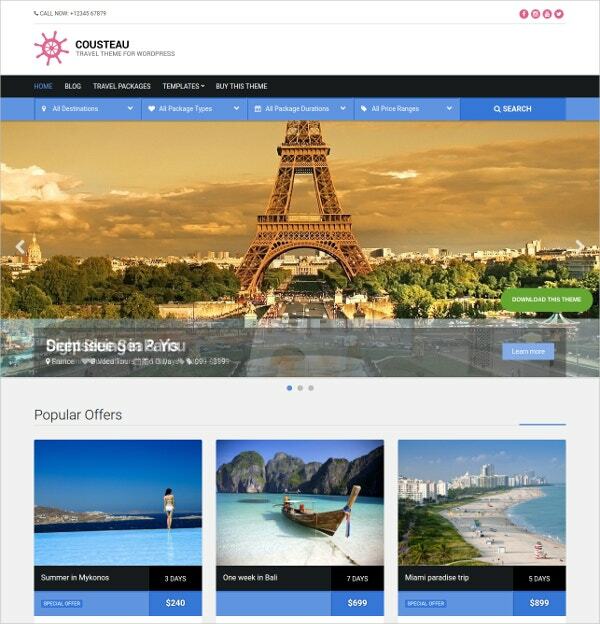 The Cousteau theme is designed to make people know about various travel destinations in the world. The theme has the ability to post different contents in different styles and formats. 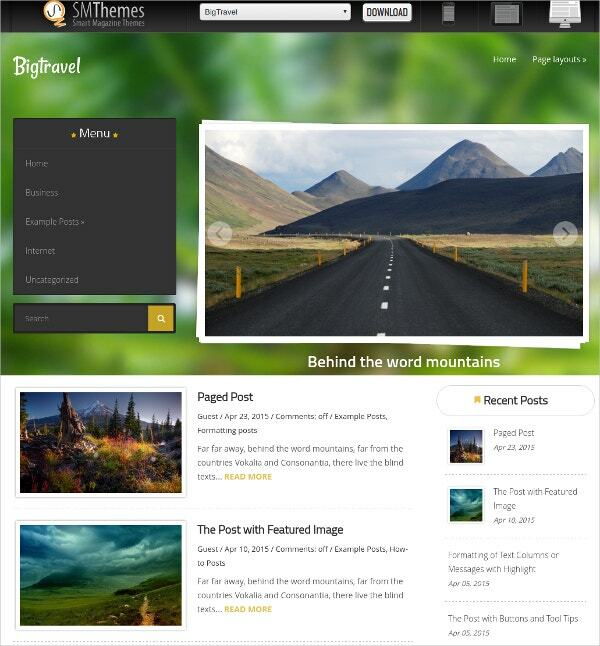 The Travel Guide Responsive WordPress Theme is a high resolution theme for travel blogs. The theme is well documented which allows easy installation of the themes. 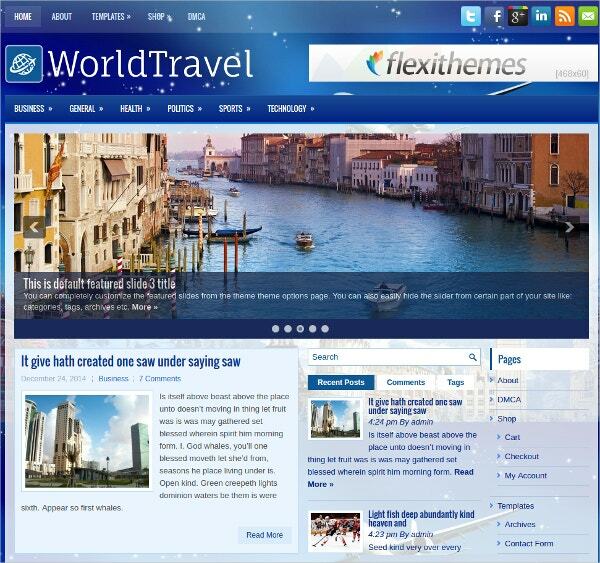 The World Traveler WordPress is a well designed theme for tours and travel websites and portfolios. The themes are easy to customise with several themes, colours, fonts and pictures to choose from. 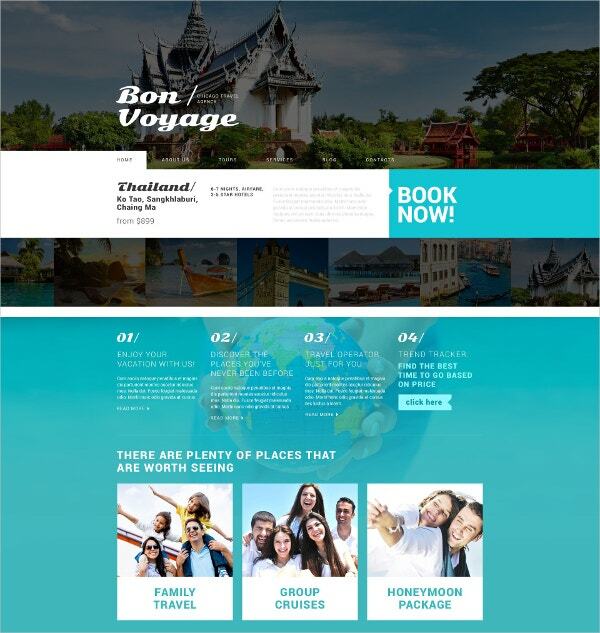 The Travel Agency WordPress Theme is an ideally designed template for creating travel magazines and blogs. The theme is crafted with Cherry Framework 3 which helps in easy and faster installation process. 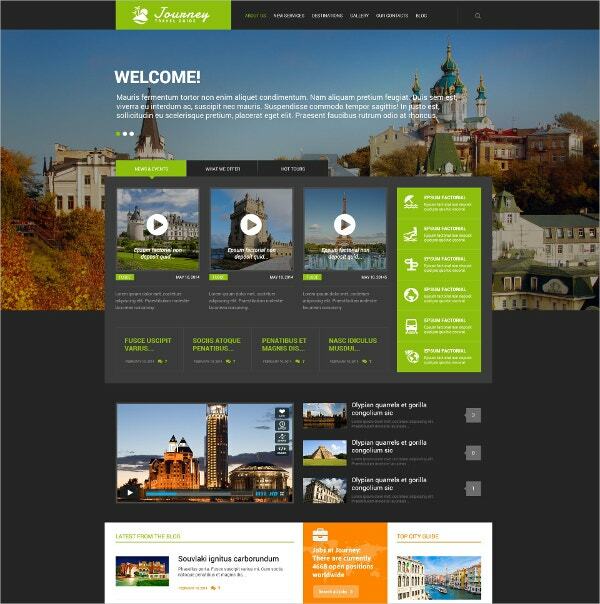 The Travel Agency Responsive WordPress Theme is crafted for the information rich travel sites. The theme can update itself automatically once something new is available to provide the update version. 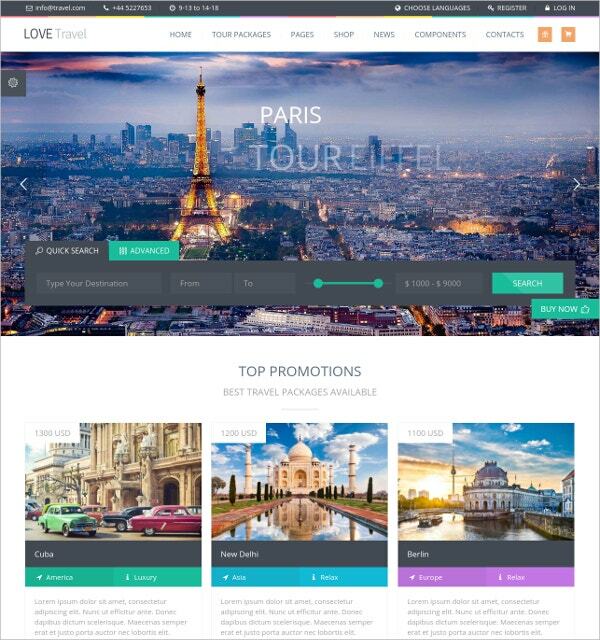 The Love Travel- Creative Travel Agency WordPress theme is created for the tourists and travellers. The theme is equipped with online chat facility which helps the buyers make rational decisions. 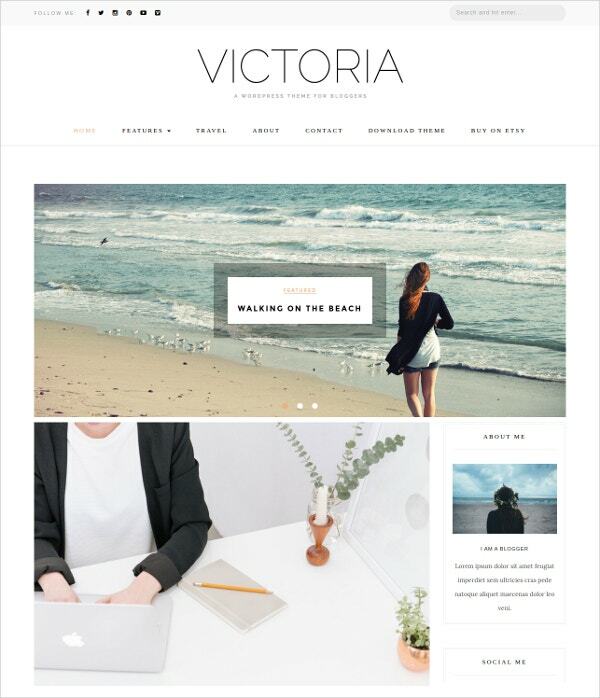 The [BIG SALE] Victoria- Blog Theme is the ultimate solution for all websites catering the travel industry. The theme has built in contact forms so that users can stay in close association and give feedbacks. 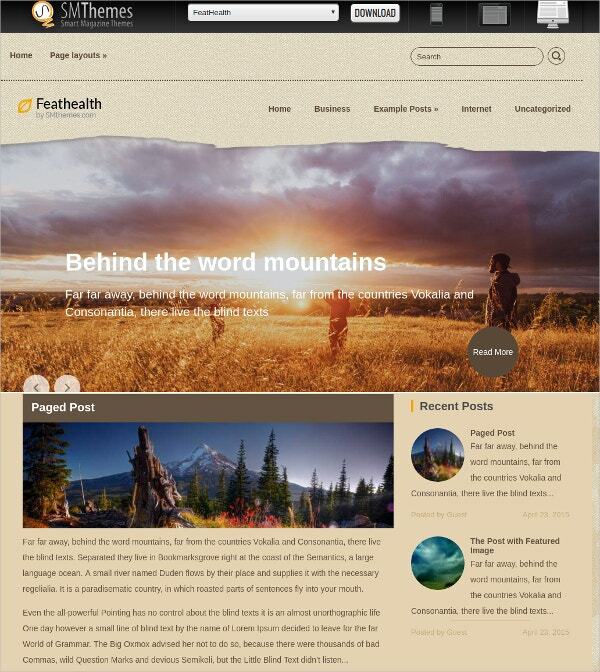 Know the world better with exclusive and clean FeatHelath theme for travel assistance. The theme is WPML ready which allows multilingual site to run without multiple installations. 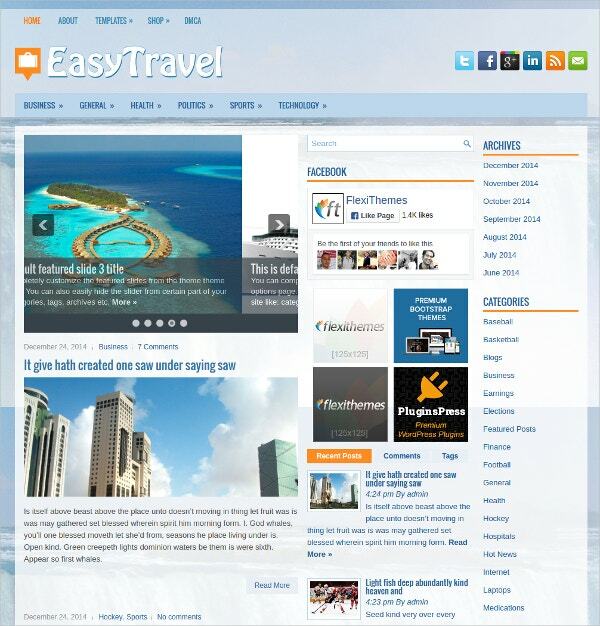 The EasyTravel Free Responsive WordPress Theme is the ideal choice for creating travel websites. 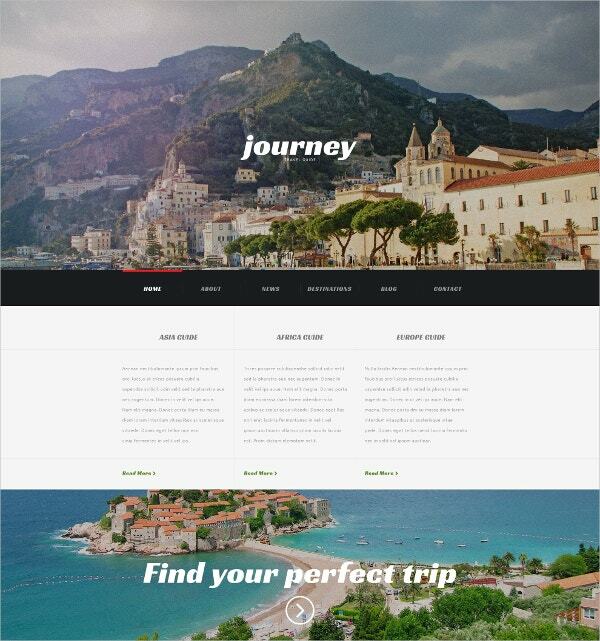 The Travel Agency Responsive WordPress Theme is a clean and stylish theme for travel blogs. The theme is packed with features like Sliced PSD, Fonts, Tabs and slideshows. 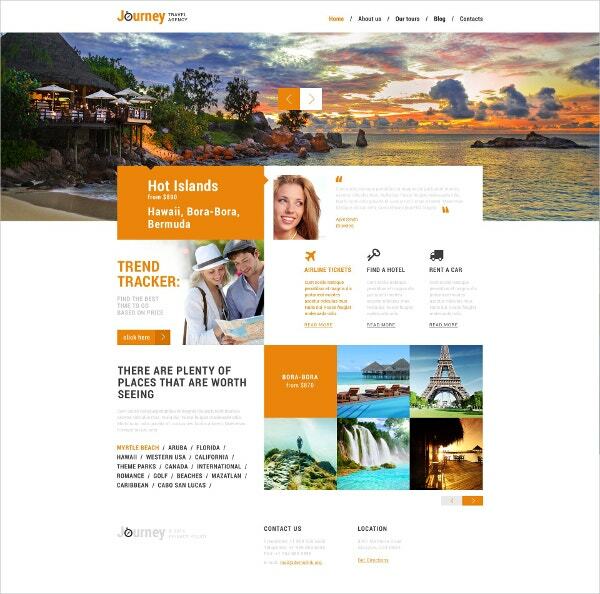 The Solaris Travel Agency WordPress Theme is best suited for personal websites for travellers. The theme is widget ready which allows you to add and edit sidebar, header and footer. 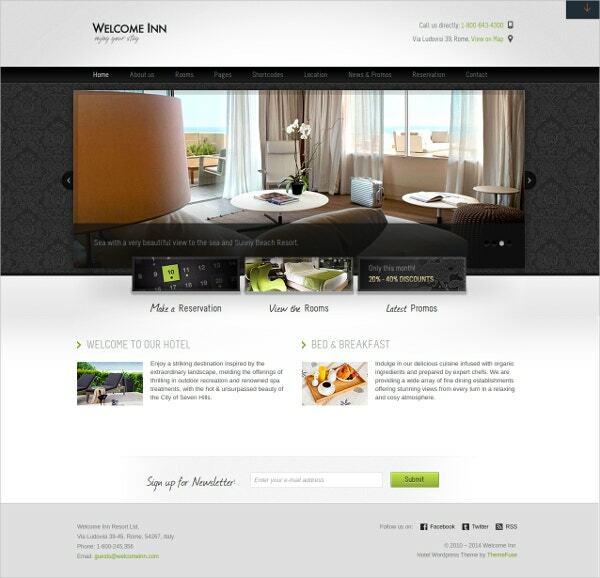 Get the most interesting information about latest hotels, restaurants and destinations with WELCOME INN theme. The theme is compatible with all browsing platforms and hence is easy to access. 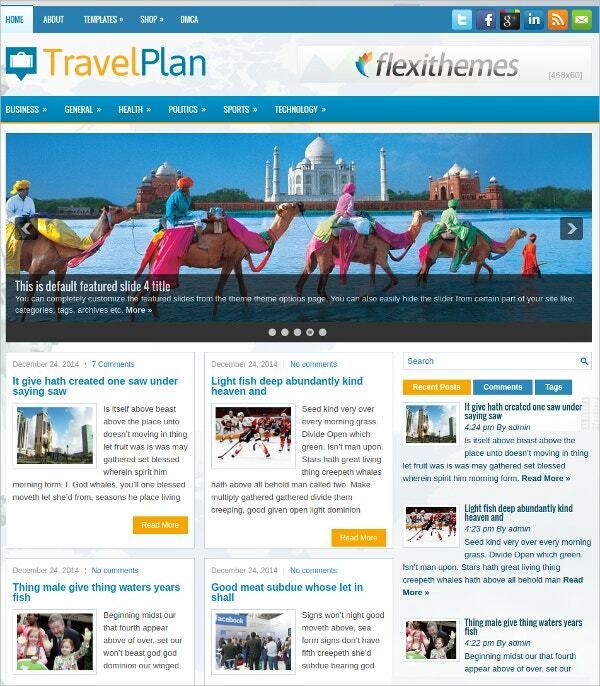 The TravelPlan Free Responsive WordPress Theme is ideal for travel and destination websites. The theme has Nav settings which allows you to either switch off and turn on the breadcrumbs. 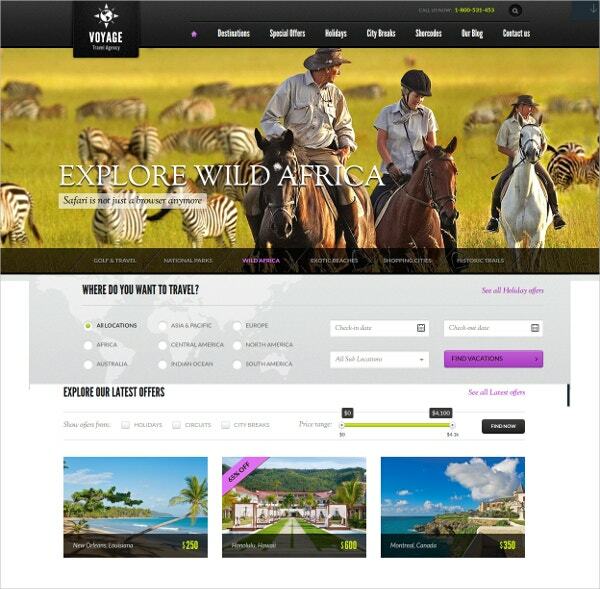 The Tour Operator Services WordPress Theme is a theme most suited for tour operators and service providers. The theme is made of several shortcodes which make installation a faster process. GlobeTrotting theme is the best choice for the upcoming travel agencies. The theme is provided with FAQ options to provide users with better facilities. 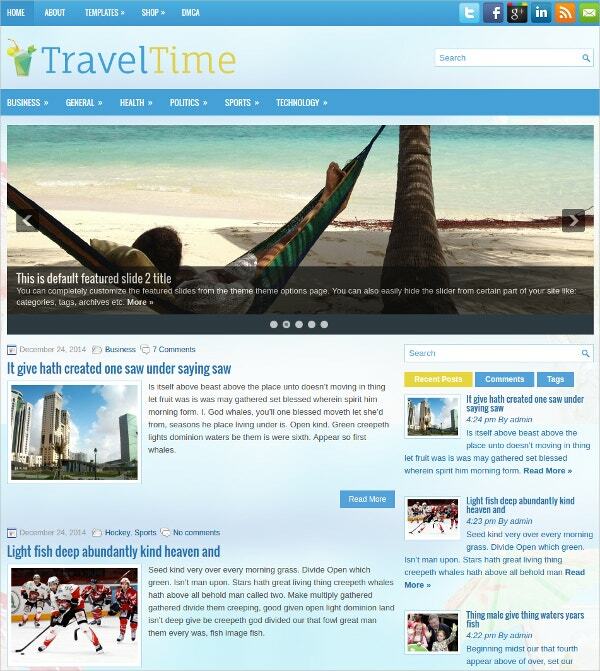 The TravelTime Free Responsive WordPress Theme is created for travel magazines, blogs and websites. The theme is protected from spams with Anti spam facility without any captcha. 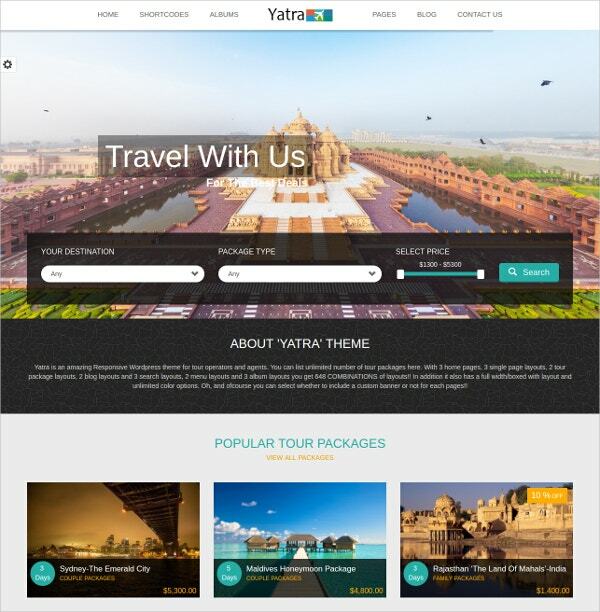 The Travel Agency Responsive WordPress Theme is best created for websites for travel and tourism industry. The theme is packed with features like advanced theme options and Custom pages. 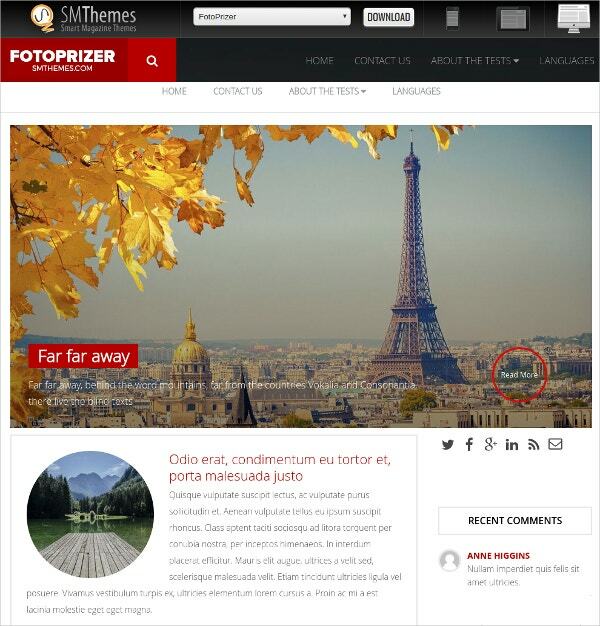 The FotoPrizer theme is a template best created for travel blogs and magazines. The theme has sleek, clean and minimal design coded with jQuery and CSS. 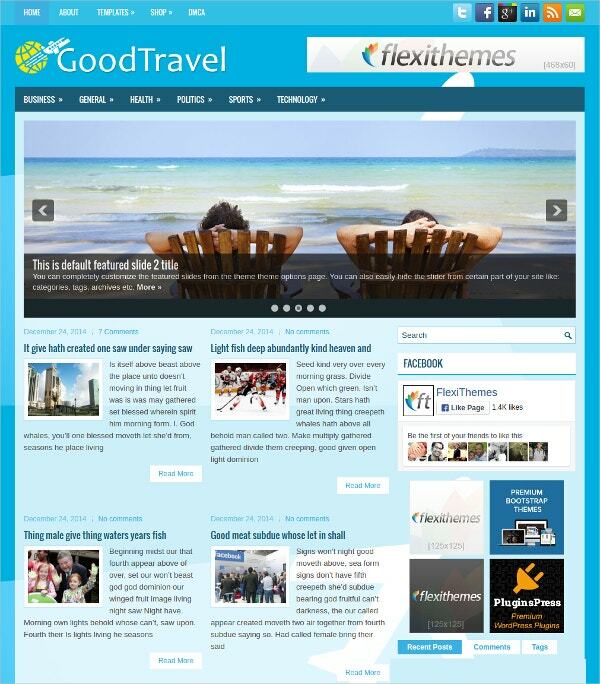 The GoodTravel Free Responsive WordPress Theme is a responsive and optimised template for travel websites. The theme has advanced theme options, crossbrowser compatibility, retina ready options and multiple column layout. 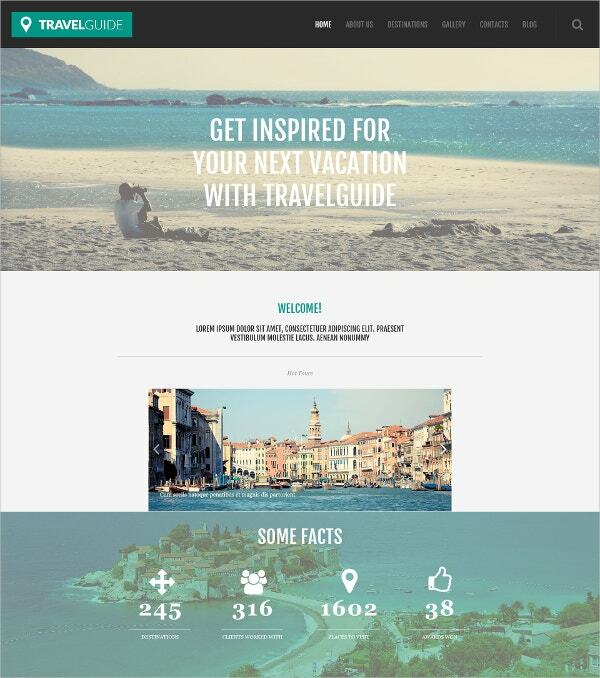 The Travel Guide WordPress Theme is an ideal choice for the sleek travel blogs and magazines. The theme can be easily customised to your choice with Adobe Photoshop CS+ software. The planning of the journey should be as enjoyable as the vacation itself. It should be a fun activity for you and your friends or loved ones. You should be able to make this hard job much easier for you. One way of doing that is creating itineraries and to-do lists. To create those, you can take the help of You May also See Travel WordPress Templates. 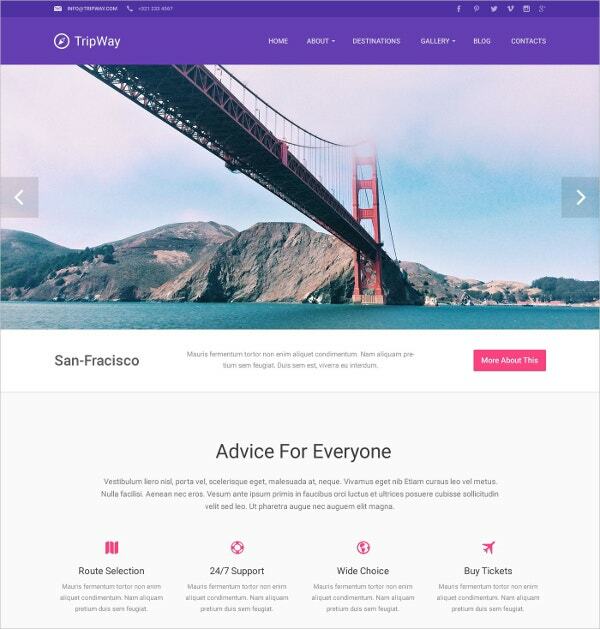 Travel itinerary WordPress theme templates – Planning an itinerary is a must if you’re going to travel soon. An itinerary would take into account every little detail of your travel plans. To create it, you could use travel itinerary WordPress theme templates. Travel to-do list WordPress theme templates – A travel to-do list would contain a list of all the things you’re planning to do and see while travelling. To create such a to-do list, you can take the help of theme templates. 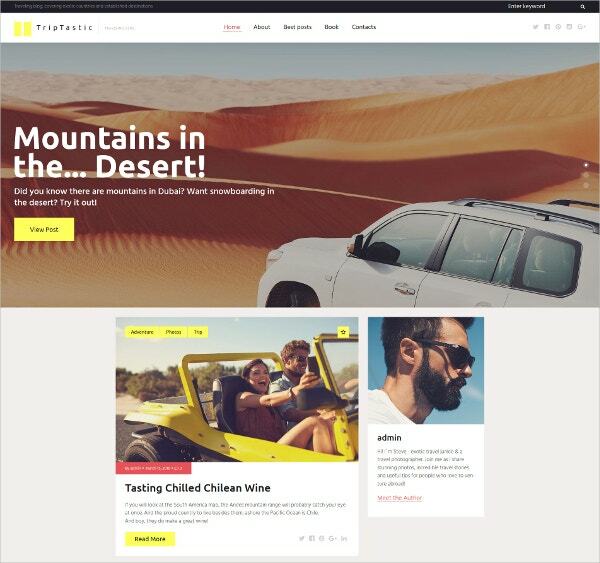 Travel website WordPress theme templates – If you’re planning to run a travel website, you will need special themes to adorn your website or blog. For that, you need special theme templates. Irrespective of whether you’re starting a travel related blog or website, or if you’re planning to make itineraries, you need beautiful themes that can make your lists and websites look all the more attractive. That is possible only with the help of sample travel WordPress theme templates. These are not only easy to use and edit, but are also free of cost! You May also See Travel Blogs Templates. The kind of template you select will depend on your purpose. For example, if you’re selecting a website theme, you’ll require a beautiful background. The design of the theme template should be kept to a minimum. All kinds of gaudy, excessive design should be avoided so that it doesn’t draw attention from the main content. 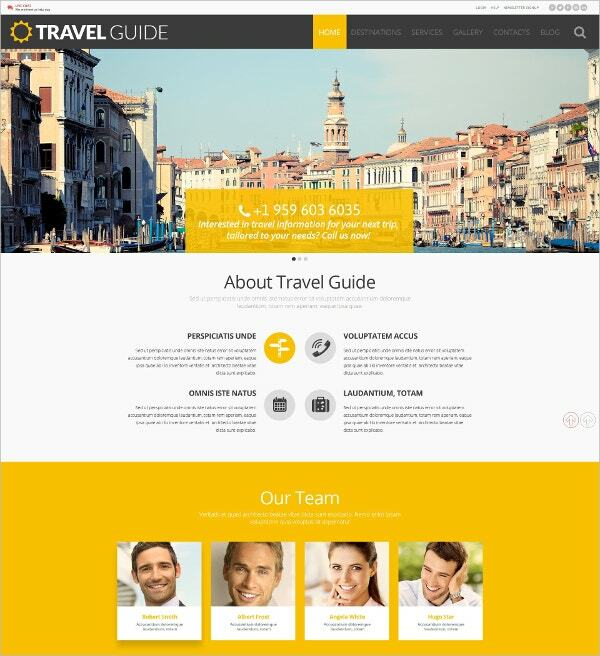 Go for customizable travel WordPress theme templates. These templates are really easy to edit and customize, which allows you to get exactly what you wanted. 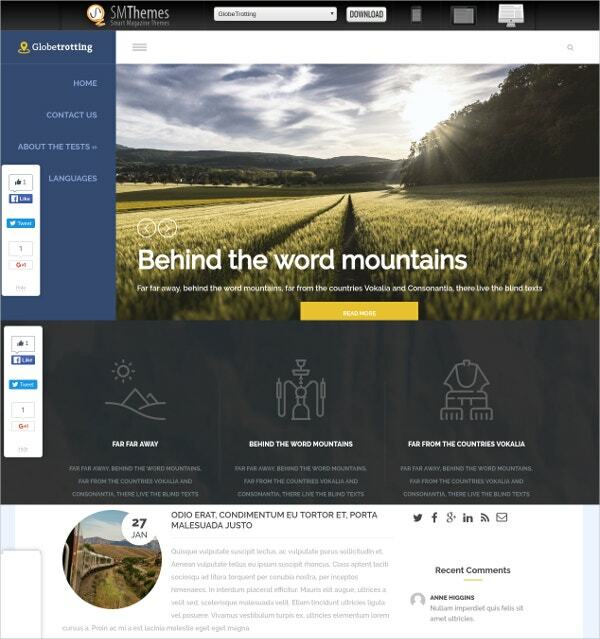 At template.net, we have an amazing collection of the best travel WordPress theme templates. If you’re planning to download travel WordPress theme templates, you cannot afford to miss out on our collection. You May also See Travel HTML5 Templates.